Looking for an advanced antioxidant formula? Already using or recommending vitamin C? Curious about cellular Nrf2 activation? Look no further than PRO-C™. PRO-C™ is among the most effective antioxidant formulas available. It is an HPDI foundational supplement that works most effectively when used with multivitamins, essential fats, and superfoods. However, it is also an excellent standalone formula that can rapidly provide the body with extremely high protection from free radicals. We ourselves have taken PRO-C daily for many years with excellent results. Our personal experience together with detailed feedback from health professionals and end-users affirms the effectiveness of PRO-C as a super-antioxidant–vitamin C-Nrf2 activator formula. PRO-C provides 500 mg of buffered vitamin C per capsule (buffered with calcium, magnesium, and zinc) along with grape extract (seed, skin, pulp) and green tea extract (95% polyphenols). In addition, we include a special combination of the “network antioxidants” l-glutathione (reduced), n-acetyl-l-cysteine (NAC), r-lipoic acid, and selenium. Vitamin B2 and Vitamin B6 in coenzyme forms support the enzymatic effectiveness of the “network antioxidants”. The formula works so well because this combination of ingredients leverages the antioxidant power of vitamin C, grape extract, green tea extract, and the other nutrients to act synergistically in order to maximize effectiveness. What you may not know is the history of the development PRO-C and the scientific knowledge on which Dr. Hank Liers based his formulation of it. Dr. Hank formulated his first product in 1989. It was a potent antioxidant formula he called PYC-C™ (sounds like “pixie”). PYC-C consisted of a combination of buffered Vitamin C (including magnesium, calcium, and zinc ascorbates) and pycnogenols from pine bark. By 1997 Dr. Hank had gathered a great deal of new scientific information regarding green tea catechins and the nutrients termed “network antioxidants” by Dr. Lester Packer, director of Packer Lab at University of California, Berkeley. 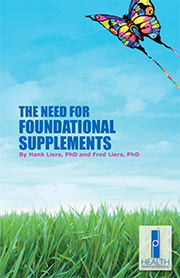 Beyond this information, Dr. Hank studied additional research regarding how various nutrients worked together synergistically. At that point, he was ready to formulate the new, improved PRO-C™ super antioxidant formula. PRO-C combines the ingredients of PYC-C (now known as OPC-C™) and uses grape pulp, skin, and seed extract with green tea extract (with high polyphenols >95% and EpiGalloCatechinGalate (EGCG) >45%), n-acetyl-l-cysteine (NAC), reduced glutathione (GSH), R-lipoic acid, selenium, and coenzyme Vitamins B2 and B6. HPDI launched PRO-C™ in late 1997. It rapidly became one of our best-selling products. Our customers raved about how effective it was for them if they felt like they were “coming down with something” (like a cold, flu, virus, infection, etc.). Greater skin elasticity greatly helped pregnant women avoid stretch marks and episiotomies. Today, we highly recommend its use together with our other Foundational Supplements to ensure optimal health and anti-aging effects. PRO-C™ super antioxidant formula is extremely synergistic, especially in so far as it increases the body’s ability to quench free radicals in its aqueous (i.e., water-based) compartments. Because antioxidants may become free radicals themselves after they have done their job, the body has developed an elaborate system for recovery of oxidized antioxidants. The following diagram shows some of the relationships in the antioxidant network and how they support each other. We see, for example, reduced glutathione (GSH) has the ability to reduce oxidized Vitamin C back to its unoxidized state. Vitamin C reduces oxidized Vitamin E back to its unoxidized state, and both reduces glutathione and spares it for other important functions, including detoxification and immune enhancement. Many polyphenols (e.g., oligomeric proanthocyanidins (OPCs), anthocyanidins and catechins) found in red grape and green tea extracts spare Vitamin C and glutathione in the body, as well as operate as powerful antioxidants, anti-inflammatories, and connective tissue strengtheners. Grapes provide antioxidant nutrients such as polyphenols, OPCs, anthocyans, and resveratrol. R-Lipoic Acid (see abstracts below) operates as an antioxidant both in its oxidized and reduced states, reduces the oxidized forms of both Vitamin E and Vitamin C, and and has been shown to enhance glutathione levels. Because several of these substances are able to protect Vitamin E contained in cell membranes, this combination also has a significant beneficial effect on the fat soluble antioxidant status of the body! The nutrients in PRO-C have been carefully selected and balanced to provide optimal effects, especially as related to free radical protection, detoxification, immune system enhancement, connective tissue strengthening, and reduction of inflammation. PRO-C therefore provides outstanding nutritional support in a wide variety of conditions of poor health, as well as acts to support and maintain a state of health and well-being. It the last several years the research results on Nrf2 activators have become well known and products developed that take advantage of these nutrients. For details see our blog article Natural Phytochemical Nrf2 Activators for Chemoprevention. Researchers have been studying specifically how enzyme-activating substances such as OPCs and anthocyans activate a transcription factor known as Nrf2 that causes the body to endogenously produce higher levels of a wide variety of protective enzymes including superoxide dismutase (SOD), catalase, and glutathione peroxidase. Although we did not know about Nrf2 activators in 1997 when we formulated PRO-C, we have subsequently learned that four of the ingredients in the formula have powerful Nrf2 activity. These include grape seed extract, green tea extract, NAC, and r-lipoic acid. With this knowledge, we now understand that PRO-C provides both powerful external antioxidants (with extremely high ORAC5.0 values) that support redox cycles within the body, but also provides ingredients that allow the body to endogenously produce powerful protective enzymes for even greater free-radical protection and health. 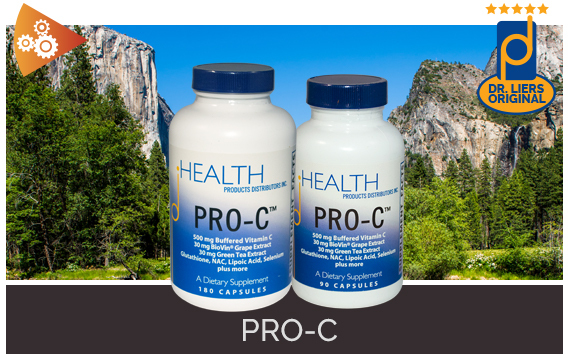 PRO-C contains buffered vitamin C (in the form of powdered calcium, magnesium, and zinc ascorbates), high-potency grape extract (from grape pulp, skins, and seeds), green tea extract (with>95% polyphenols and >45% EGCG), reduced glutathione, N-Acetyl-L-Cysteine (NAC), R-lipoic acid, coenzyme forms of vitamin B2 (R5P) and vitamin B6 (P5P), and selenium. Below we will discuss each ingredient and show some of the research that confirms its effectiveness. Vitamin C typically is called l-ascorbic acid or ascorbate and is an essential nutrient for humans and other animal species. The term “vitamin C” refers to a number of vitamins that have vitamin C activity in animals, including ascorbic acid and its salts (e.g., magnesium ascorbate, calcium ascorbate, sodium ascorbate, etc. ), and some oxidized forms such as dehydroascorbate and semidehydroascorbate. Vitamin C is known to perform many critical functions within the body involving detoxification, tissue building, immune enhancement, pain control, and controlling or killing pathogenic organisms. It is also known to be helpful for wound and bone healing, healthy skin and eyes, fighting infections, stress control, toxic exposure, and repairing damaged tissue of all types. For much more information on the many benefits of Vitamin C see our blog article Vitamin C – An Amazing Nutrient. Exhaustive physical exercise causes oxidation of glutathione status in blood: prevention by antioxidant administration. We have studied the effect of exhaustive concentric physical exercise on glutathione redox status and the possible relationship between blood glutathione oxidation and blood lactate and pyruvate levels. Levels of oxidized glutathione (GSSG) in blood increase after exhaustive concentric physical exercise in trained humans. GSSG levels were 72% higher immediately after exercise than at rest. They returned to normal values 1 h after exercise. Blood reduced glutathione (GSH) levels did not change significantly after the exercise. We have found a linear relationship between GSSG-to-GSH and lactate-to-pyruvate ratios in human blood before, during, and after exhaustive exercise. In rats, physical exercise also caused an increase in blood GSSG levels that were 200% higher after physical exercise than at rest. GSH levels did not change significantly. Thus, both in rats and humans, exhaustive physical exercise causes a change in glutathione redox status in blood. We have also found that antioxidant administration, i.e., oral vitamin C, N-acetyl-L- cysteine, or glutathione, is effective in preventing oxidation of the blood glutathione pool after physical exercise in rats. The effect of glutathione and vitamins A, C, and E on acute skin flap survival. Vitamins A, C, and E act as antioxidants and as free radical scavengers in biological systems. Glutathione is involved in several reactions in vitamin metabolism and also plays an important role in cell membrane protection against lipid peroxidation by free radicals. We sought to use these natural defense mechanisms against oxygen free radicals formed during reperfusion of ischemic skin flaps. An acute axial random skin flap model was utilized in the rat. Vitamins or glutathione were administered by oral gastric tube or intravenously in the perioperative period, and survival of the flap was measured at 1 week. Glutathione, beta-carotene, ascorbic acid and alpha-D- tocopherol showed mean flap survival of 84% to 89%, each of which was significantly improved over saline controls (67% p less than .0005). The mechanisms and biochemistry of these vitamins, and their interactions with other vitamins and with glutathione, are discussed, along with clinical implications of free radical scavenging and skin flap survival. Grape extract (seeds, skin, pulp) contain highly bioavailable bioflavonoid complexes that in research studies have been shown to have powerful antioxidant capability. 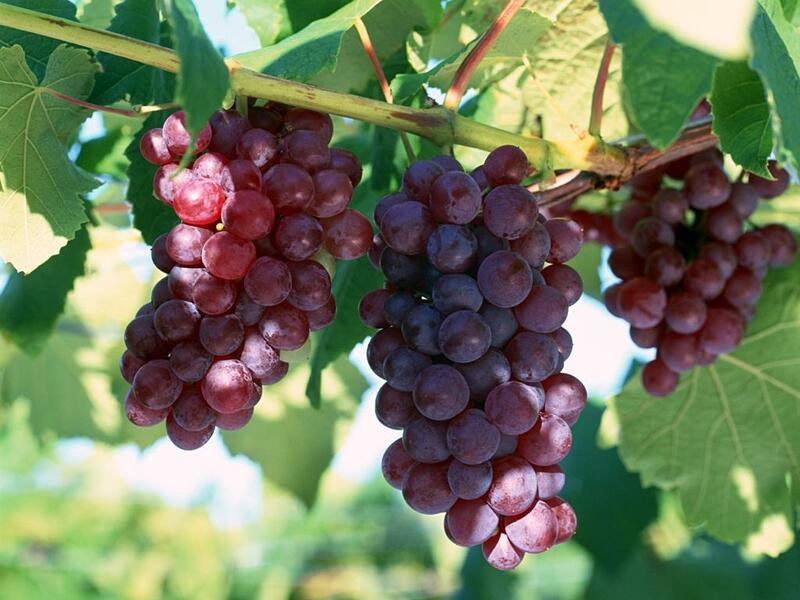 The Oligomeric Proanthocyanidins (OPCs) in grape seed extract are able to strengthen collagen fibers in aging or damaged connective tissue and can act as a preventative against connective tissue degradation. Some research indicates that anthocyans, which are found in extracts of grape skin and stems (but not in grape seed extract), can reduce oxidized glutathione while at the same time become reduced themselves. In addition, extracts of grape skin and stems (but not those of grape seed extract) contain a material called trans-resveratrol that has been shown to have chemopreventive effects. Below we have provided some of the abstracts that are included in our broad list of relevant abstracts for PRO-C. Protective effects of grape seed proanthocyanidins and selected antioxidants against TPA-induced hepatic and brain lipid peroxidation and DNA fragmentation, and peritoneal macrophage activation in mice. 1. The comparative protective abilities of a grape seed proanthocyanidin extract (GSPE) (25-100 mg/kg), vitamin C (100 mg/kg), vitamin E succinate (VES) (100 mg/kg) and beta-carotene (50 mg/kg) on 12-O-tetradecanoylphorbol-13-acetate (TPA)-induced lipid peroxidation and DNA fragmentation in the hepatic and brain tissues, as well as production of reactive oxygen species by peritoneal macrophages, were assessed. 2. Treatment of mice with GSPE (100 mg/kg), vitamin C, VES and beta-carotene decreased TPA-induced production of reactive oxygen species, as evidenced by decreases in the chemiluminescence response in peritoneal macrophages by approximately 70%, 18%, 47% and 16%, respectively, and cytochrome c reduction by approximately 65%, 15%, 37% and 19%, respectively, compared with controls. 3. GSPE, vitamin C, VES and beta-carotene decreased TPA-induced DNA fragmentation by approximately 47%, 10%, 30% and 11%, respectively, in the hepatic tissues, and 50%, 14%, 31% and 11%, respectively, in the brain tissues, at the doses that were used. Similar results were observed with respect to lipid peroxidation in hepatic mitochondria and microsomes and in brain homogenates. 4. GSPE exhibited a dose-dependent inhibition of TPA- induced lipid peroxidation and DNA fragmentation in liver and brain, as well as a dose-dependent inhibition of TPA-induced reactive oxygen species production in peritoneal macrophages. 5. GSPE and other antioxidants provided significant protection against TPA-induced oxidative damage, with GSPE providing better protection than did other antioxidants at the doses that were employed. BACKGROUND: The pharmacological treatment of non-complicated chronic venous insufficiency is a current and well-debated topic. The introduction of new products with action on the venous system, improved knowledge on the physiopathology of venous insufficiency and the possibility provided by new analytical instruments, have given new impulse to the consolidation of the clinical value of phlebotonics in this indication. METHODS: In light of this, 24 patients with non-complicated chronic venous insufficiency were treated with oral administration of Oligomeric Proanthocyanidins (Pycnogenols-OPC) 100 mg/day. To evaluate the therapeutic efficacy of the treatment, an instrumental evaluation by optical probe capillaroscope was employed in addition to the traditional subjective clinical parameters: swelling, itching, heaviness and pain. The videocapillaroscope examination was performed at the lower third of the leg and the first toe. Edema in the capillaroscopic field, the number of observable capillaries and the capillary dilatation were the parameter chosen to evaluate the efficacy of treatment. All patients completed the study with no reports of adverse events during the period of observation. RESULTS: The results obtained show a positive clinical response (improved or absent symptoms) in over 80% of patients, with significant improvement of symptoms already evident after the first 10 days of treatment. The mechanism of action of the OPCs explains the rapid reduction of the swelling of the lower limbs and correlated with this are the other evaluable symptoms: heaviness and itching. Particularly striking results were observed for itching and pain which completely disappeared during the course of therapy in 80% and 53% of the patients respectively. Noteworthy is the good correlation between the clinical and instrumental data, with improvement in a total of 70% of patients. CONCLUSIONS: The results obtained in the course of this clinical experience, with evident improvement already during the first weeks of treatment, the absence of adverse events added to the benefit of a once-a-day administration, justify the use of OPC in the treatment of non-complicated chronic venous insufficiency. Polymeric procyanidin fraction from defatted grape seeds protects HepG2 cells against oxidative stress by inducing phase II enzymes via Nrf2 activation. Nuclear factor erythroid 2-related factor 2 (Nrf2) is an important transcription factor that regulates antioxidant response element (ARE)-driven phase II detoxification enzymes. In this study, induction of phase II enzymes via Nrf2/ARE activation in the cytoprotective effect of crude polyphenol extract (CPE), oligomeric procyanidin fraction (OPF), and polymeric procyanidin fraction (PPF) from defatted grape seeds in HepG2 cells was evaluated. Among these treatments, the treatment with PPF significantly increased Nrf2 protein expression in the nuclear fraction. Treating the samples increased heme oxygenase-1 (HO-1) and NAD(P)H:quinone oxidoreductase 1 (NQO1) protein expression in a dose-dependent manner, and PPF significantly increased the levels of phase II enzymes. Cellular generation of reactive oxygen species (ROS) were effectively reduced by PPF. These results suggest that pretreatment with PPF shows a cytoprotective effect by inhibiting ROS production and inducing HO-1 and NQO1 expression via Nrf2 activation in HepG2 cells. 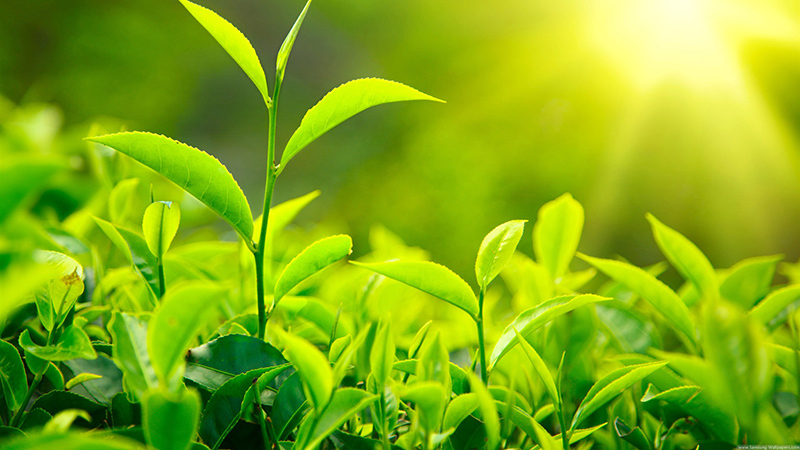 Green tea extract is obtained from the unfermented leaves of Camellia sinensis for which numerous biological activities have been reported including: antimutagenic, antibacterial, hypocholesterolemic, antioxidant, and protective against tumorigenesis. Below we have selected a few of the many abstracts we have on file showing the benefit of green tea extract. Green tea leaves are high in antioxidant polyphenols and catechins. Enhancement of antioxidant and phase II enzymes by oral feeding of green tea polyphenols in drinking water to SKH-1 hairless mice: possible role in cancer chemoprevention. Following the oral feeding of a polyphenolic fraction isolated from green tea (GTP) in drinking water, an increase in the activities of antioxidant and phase II enzymes in skin, small bowel, liver, and lung of female SKH-1 hairless mice was observed. GTP feeding (0.2%, w/v) to mice for 30 days significantly increased the activities of glutathione peroxidase, catalase, and quinone reductase in small bowel, liver, and lungs, and glutathione S-transferase in small bowel and liver. GTP feeding to mice also resulted in considerable enhancement of glutathione reductase activity in liver. In general, the increase in antioxidant and phase II enzyme activities was more pronounced in lung and small bowel as compared to liver and skin. The significance of these results can be implicated in relation to the cancer chemopreventive effects of GTP against the induction of tumors in various target organs. INHIBITORY EFFECT OF SIX GREEN TEA CATECHINS AND CAFFEINE ON THE GROWTH OF FOUR SELECTED HUMAN TUMOR CELL LINES. Institutional address: Department of Pharmacology and Toxicology College of Pharmacy University of Arizona Tucson 85721 USA. Green tea is an aqueous infusion of dried unfermented leaves of Camellia sinensis (family Theaceae) from which numerous biological activities have been reported including antimutagenic, antibacterial, hypocholesterolemic, antioxidant, antitumor and cancer preventive activities. From the aqueous-alcoholic extract of green tea leaves, six compounds (+)-gallocatechin (GC), (-)-epicatechin (EC), (-)- epigallocatechin (EGC), (-)-epicatechin gallate (ECG), (-)- epigallocatechin gallate (EGCG) and caffeine, were isolated and purified. Together with (+)-catechin, these compounds were tested against each of four human tumor cells lines (MCF-7 breast carcinoma, HT-29 colon carcinoma, A-427 lung carcinoma and UACC-375 melanoma). The three most potent green tea components against all four tumor cell lines were EGCG, GC and EGC. EGCG was the most potent of the seven green tea components against three out of the four cell lines (i.e. MCF-7 breast cancer, HT-29 colon cancer and UACC-375 melanoma). On the basis of these extensive in vitro studies, it would be of considerable interest to evaluate all three of these components in comparative preclinical in vivo animal tumor model systems before final decisions are made concerning which of these potential chemopreventive drugs should be taken into broad clinical trials. Glutathione and NAC (a major precursor of glutathione) both provide important protection against toxins and free radicals, and can strengthen the immune system. Glutathione is considered to be one of the most important protective substances in the human body with almost 60% of liver detoxification accounted for by this key substance. 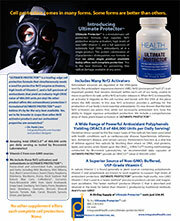 In addition, glutathione is one of the most potent anti-viral substances known. Some research has indicated that glutathione may not be able to enter easily into certain types of cells, but NAC is able to enter these cells and be converted into glutathione once inside the cell. Thus, the combination of glutathione and NAC appear to be more potent than either alone. Below we provide some of the key abstracts we have on file regarding NAC and glutathione. Reduced glutathione (GSH) is the main intracellular low molecular weight thiol. GSH acts as a nucleophilic scavenger and as an enzyme-catalyzed antioxidant in the event of electrophilic/oxidative tissue injury. Therefore, GSH has a major role as a protector of biological structures and functions. GSH depletion has been recognized as a hazardous condition during paracetamol intoxication. Conversely, GSH rescue, meaning recovery of the protective potential of GSH by early administration of N-acetylcysteine (NAC), has been found to be life-saving. Lack of GSH and electrophilic/oxidative injury have been identified among the causes of the adult respiratory distress syndrome (ARDS), idiopathic pulmonary fibrosis (IPF), and the acquired immunodeficiency syndrome (AIDS). Experimental and early clinical data (in ARDS) point to the role of NAC in the treatment of these conditions. Recently, orally given NAC has been shown to enhance the levels of GSH in the liver, in plasma, and notably in the bronchoalveolar lavage fluid. Rescue of GSH through NAC needs to be appreciated as an independent treatment modality for an array of different disease, all of which have one feature in common: pathogenetically relevant loss of GSH. Cysteine and glutathione concentrations in plasma and bronchoalveolar lavage fluid after treatment with N-acetylcysteine. N-acetylcysteine (600 mg/day) was given to patients by mouth for five days before bronchoscopy and bronchoalveolar lavage to determine whether N-acetylcysteine could increase the concentrations of the antioxidant reduced glutathione in plasma and bronchoalveolar lavage fluid. Bronchoalveolar lavage was performed 1-3 hours (group 2, n = 9) and 16-20 hours (group 3, n = 10) after the last dose of N-acetylcysteine and the values were compared with those in a control group receiving no N-acetylcysteine (group 1, n = 8). N-Acetylcysteine was not detected in plasma or lavage fluid. Plasma concentrations of cysteine, the main metabolite of N-acetylcysteine and a precursor of reduced glutathione, were greater in the groups receiving treatment (groups 2 and 3) than in group 1. Cysteine concentrations in lavage fluid were similar in the three groups. Concentrations of reduced glutathione were greater in both plasma and lavage fluid in group 2 than in group 1. These data suggest that N-acetylcysteine given by mouth is rapidly deacetylated to cysteine, with resulting increases in the concentrations of cysteine in plasma and of reduced glutathione in plasma and the airways, which thus temporarily increase the antioxidant capacity of the lung. R-Lipoic Acid is normally made at low levels in the human body, where it functions primarily as an important metabolic nutrient in the conversion of pyruvic acid into acetyl coenzyme A. As such, it plays a crucial role in the metabolism of both fats and carbohydrates into energy. In addition, r-lipoic acid functions as an extremely powerful antioxidant capable of trapping many different types of free radicals in the body. Because it is both water and fat soluble, lipoic acid is able to operate in a broader range of body tissues than most other antioxidants. Its small size allows lipoic acid to enter areas of the body not easily accessible to many other substances; this allows lipoic acid, for example, to enter the cell nucleus and prevent free-radical damage to DNA. Because it is such a powerful antioxidant and can easily function as such in both a reduced and oxidized state, lipoic acid is able to protect other important antioxidants such as glutathione, Vitamin E, and Vitamin C. R-lipoic acid is also able to chelate heavy metals such as lead, cadmium, mercury, free iron, and free copper out of the body. Below we provide relevant scientific abstracts from our database regarding R-Lipoic acid. Alpha-Lipoic acid as a biological antioxidant. alpha-Lipoic acid, which plays an essential role in mitochondrial dehydrogenase reactions, has recently gained considerable attention as an antioxidant. Lipoate, or its reduced form, dihydrolipoate, reacts with reactive oxygen species such as superoxide radicals, hydroxyl radicals, hypochlorous acid, peroxyl radicals, and singlet oxygen. It also protects membranes by interacting with vitamin C and glutathione, which may in turn recycle vitamin E. In addition to its antioxidant activities, dihydrolipoate may exert prooxidant actions through reduction of iron. alpha-Lipoic acid administration has been shown to be beneficial in a number of oxidative stress models such as ischemia-reperfusion injury, diabetes (both alpha-lipoic acid and dihydrolipoic acid exhibit hydrophobic binding to proteins such as albumin, which can prevent glycation reactions), cataract formation, HIV activation, neurodegeneration, and radiation injury. Furthermore, lipoate can function as a redox regulator of proteins such as myoglobin, prolactin, thioredoxin and NF-kappa B transcription factor. We review the properties of lipoate in terms of (1) reactions with reactive oxygen species; (2) interactions with other antioxidants; (3) beneficial effects in oxidative stress models or clinical conditions. Regeneration of glutathione by α-lipoic acid via Nrf2/ARE signaling pathway alleviates cadmium-induced HepG2 cell toxicity. Zhang J, Zhou X, Wu W, Wang J, Xie H, Wu Z. In: Environ Toxicol Pharmacol. 2017 Apr;51:30-37. doi: 10.1016/j.etap.2017.02.022. Epub 2017 Feb 27. Alpha-lipoic acid (α-LA) is an important antioxidant that is capable of regenerating other antioxidants, such as glutathione (GSH). However, the underlying molecular mechanism by which α-LA regenerates GSH remains poorly understood. The current study aimed to investigate whether α-LA regenerates GSH by activation of Nrf2 to alleviate cadmium-induced cytotoxicity in HepG2 cells. In the present study, we found that cadmium induced cell death by depletion of GSH through inactivation of Nrf2. Addition of α-LA to cadmium-treated cells reactivated Nrf2 and regenerated GSH through elevating the Nrf2-downstream genes γ-glutamate-cysteine ligase (γ-GCL) and GR, both of which are key enzymes for GSH synthesis. However, blocking Nrf2 with brusatol in the cells co-treated with α-LA and cadmium reduced the mRNA and the protein levels of γ-GCL and GR, thus suppressed GSH regeneration by α-LA. Our results indicated that α-LA activated Nrf2 signaling pathway, which upregulated the transcription of the enzymes for GSH synthesis and therefore GSH contents to alleviate cadmium-induced cytotoxicity in HepG2 cells. Selenium has been shown by clinical research to be a key mineral in the body’s defenses against free radicals and has been shown to be a major factor in reducing the symptoms of HIV infections and in the prevention of tumors. Selenium is used in conjunction with glutathione to form the powerful enzyme glutathione peroxidase that is responsible for detoxification of peroxides formed during the process of aerobic metabolism in humans and other animals. Serum selenium concentrations in rheumatoid arthritis. Selenium is a trace element and an essential part of the enzyme glutathione peroxidase, which protects cells from oxidative damage. Selenium has been shown to have antiproliferative, anti-inflammatory, antiviral, and immune altering effects. Serum selenium concentrations in 101 patients with seropositive rheumatoid arthritis were found to be significantly lower than those in 29 normal, healthy controls (mean (SD) 148 (42) v 160 (25) micrograms/l) and also lower than those in eight patients with fibrositis (148 (42) v 166 (25) micrograms/l). It is speculated that serum selenium concentrations may modulate the effect of viral or other infections in subjects with the appropriate genetic background and in this way enhance the development or progression of rheumatoid arthritis. Studies on selenium in top athletes. The authors performed a controlled trial in 18 top athletes (9 weight lifters and 9 rowers, girls) in order to make evident some chronic and acute effects (antioxidant) of selenium. Nonprotein–SH (essential glutathione), lipid peroxides (MDA-malondialdehyde), glucose-6-phosphate dehydrogenases (G-6-PDH) and fructose-1,6- diphosphate aldolase in serum, have been recorded initially on basal conditions, after 3 weeks of treatment (100 micrograms/day selenium or placebo) and again after 3 weeks of treatment, also on basal conditions, when crossing over the groups (between a free interval of 10 days). In another trial we registered these parameters on basal conditions and after two hours of hard training accompanied by a per oral administration of 150 micrograms selenium (respectively placebo). The results show significant changes under selenium treatment of the peroxides, G-6-PDH and light changes, not significant of the nonprotein–SH, changes which could suggest an antioxidant effect of this element. Vitamin B2 as coenzyme riboflavin-5-phosphate is a key vitamin that supports the regeneration of glutathione (via glutathione reductase). Vitamin B6 as coenzyme pyridoxal-5-phosphate is a key vitamin that supports the ability of glutathione to combine with toxic substances (via glutathione transferase) in the process of eliminating them from the body. They are especially effective in their coenzyme forms which allows them to be directly utilized by the body starting in the intestinal tract. Magnesium, zinc, and calcium synergistically work with (and enhance the effects of) the other ingredients in PRO-C. Minerals are especially needed as active components of enzymes that drive metabolic activity. For example, magnesium is required in the functioning of more than 325 types of enzymes. HIGHLY EFFECTIVE VITAMIN C FORMULA PLUS ANTIOXIDANTS. A complete vitamin C formula, a powerful antioxidant Formula, and Nrf2 activator combined in a single advanced supplement! POWERFUL, SYNERGISTIC FREE-RADICAL QUENCHING FORMULA. PRO-C™ components work together to quench free radicals in your body. Vitamin C enables grape seed extract to function more effectively, and conversely grape seed extract potentiates vitamin C. Green tea extract boosts ORAC (Oxygen Radical Absorbance Capacity) value. PROVIDES SIGNIFICANT AMOUNTS OF POWERFUL NRF2 ACTIVATORS (from Grape Extract, Green Tea Extract, NAC, and R-Lipoic Acid) that stimulate the production of the body’s own protective antioxidants including superoxide dismutase, catalase, glutathione peroxidase, and heme oxygenase. RAPID ASSIMILATION. Capsule form ensures rapid uptake and assimilation in the body. You may also empty capsule contents into water, food, or directly Into mouth, if desired. Good, mildly tart taste! DIRECTIONS: As a dietary supplement take 1–3 capsules or more daily in divided doses (i.e., spread out over the day), or as recommended by a health care professional. It initially may be useful to take up to 6 capsules per day in divided doses for one week. The contents of the capsule may be emptied into juice or food, as needed. INGREDIENTS: PRO-C™ SUPER ANTIOXIDANT FORMULA contains only the highest-quality USP grade magnesium ascorbate, USP grade calcium ascorbate, BioVin® grape extract (greater than 75% polyphenols, 93% OPC, greater than 3.5% anthocyanidins from grape pulp, skins, and seeds, and a small amount of trans resveratrol), green tea extract (95% min. polyphenols and 45% min. EGCG), l-glutathione (reduced), USP grade n-acetyl-l-cysteine, USP grade zinc ascorbate, r-(+)-lipoic acid, riboflavin-5′-phosphate, pyridoxal-5′-phosphate, l-selenomethionine, the smallest amounts of microcrystalline cellulose and silica in a vegetarian capsule. PRO-C™ does not contain wheat, rye, oats, corn antigen, barley, gluten, soy, egg, dairy, yeast, sugar, sulfates, phosphates (other than coenzyme forms), fats, chlorides, GMOs, wax, preservatives, colorings, or artificial flavorings. Click here to order PRO-C™. The Antioxidant Miracle. Lester Packer, PhD, and Carol Coleman. New York: John Wiley and Sons, 1999. How to Live Longer and Feel Better. Dr. Linus Pauling. Corvallis, OR: Oregon State University Press, 2006.